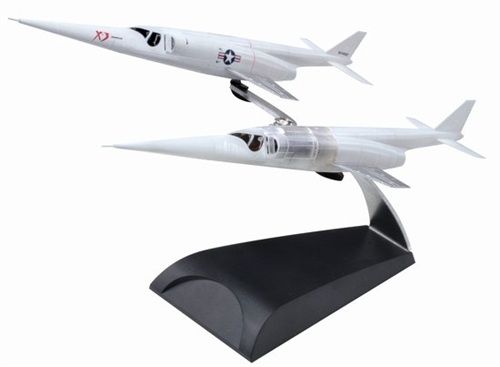 The Dragon Warbirds series includes high quality diecast models of modern and historical military aircraft. All items are true to scale, they include detailed markings, have removable weapons, detailed cockpits, moving wing flaps and even opening canopies. One of the nice things about our new site is that it now allows us to highlight some of the more noteworthy items being released by each manufacturer. In the case of Dragon, what follows is a list of some of the more intriguing products that have just arrived which we feel would be of interest to the savvy collector. The Douglas X-3 Stiletto was a 1950s United States experimental jet aircraft with a slender fuselage and a long tapered nose, manufactured by the Douglas Aircraft Company.